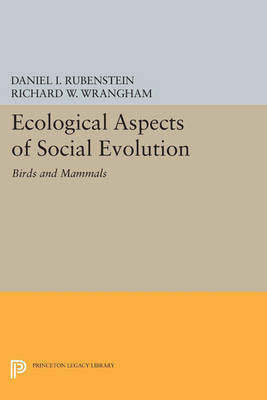 Seeking common principles of social evolution in different taxonomic groups, the contributors to this volume discuss eighteen groups of birds and mammals for which long-term field studies have been carried out. They examine how social organization is shaped by the interaction between proximate ecological pressures and culture"--the social traditions already in place and shaped by local and phylogenetic history. Originally published in 1987. The Princeton Legacy Library uses the latest print-on-demand technology to again make available previously out-of-print books from the distinguished backlist of Princeton University Press. These editions preserve the original texts of these important books while presenting them in durable paperback and hardcover editions. The goal of the Princeton Legacy Library is to vastly increase access to the rich scholarly heritage found in the thousands of books published by Princeton University Press since its founding in 1905.